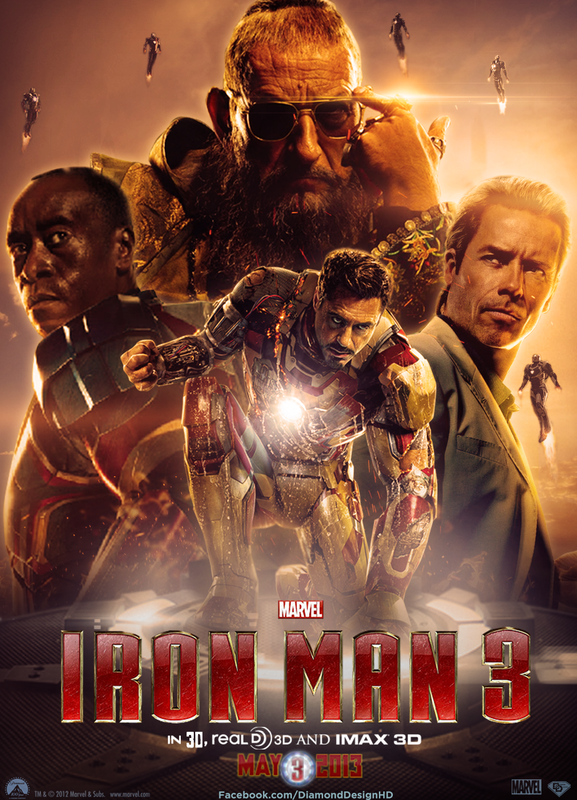 Opening today comes the latest addition to the Marvel Cinematic Universe; Iron Man 3, starring Robert Downey Jr., Don Cheadle, Gwyneth Paltrow, Guy Pearce and Ben Kingsly. With the release of Marvel’s The Avengers in May 2012, the fictional universe has expanded to make room in sequels for Iron Man, Thor, Captain America and the Guardians of the Galaxy. Iron Man 3 is the sequel to Iron Man and Iron Man 2, and the seventh installment in the Marvel Cinematic Universe, being the first major release in the franchise since the crossover film The Avengers. Shane Black directed a screenplay he co-wrote with Drew Pearce, which is loosely based on the “Extremis” story arc by Warren Ellis. Jon Favreau, who directed the first two films, serves as executive producer, along with Kevin Feige. Robert Downey, Jr. reprises his role as the title character, with Gwyneth Paltrow, Don Cheadle, and Favreau reprising their roles as Pepper Potts, James Rhodes, and Happy Hogan, respectively. Guy Pearce, Rebecca Hall, Stephanie Szostak, James Badge Dale, and Ben Kingsley round out the film’s principal cast. After the release of Iron Man 2 in May 2010, Favreau decided not to return as director, and in February 2011 Black was hired to rewrite and direct the film. Throughout April and May 2012, the film’s supporting cast was filled out, with Kingsley, Pearce, and Hall brought in to portray key roles. Filming began on May 23, 2012 in Wilmington, North Carolina. The film was shot primarily in North Carolina, with additional shooting in Florida, China and Los Angeles. The film’s visual effects were handled by a number of companies, including Scanline VFX, Digital Domain and Weta Digital. Iron Man 3 was converted to 3D in post-production. The film premiered at the Grand Rex in Paris on April 14, 2013, and was internationally released on April 25, 2013 in IMAX and was released on May 3, 2013 in the United States.